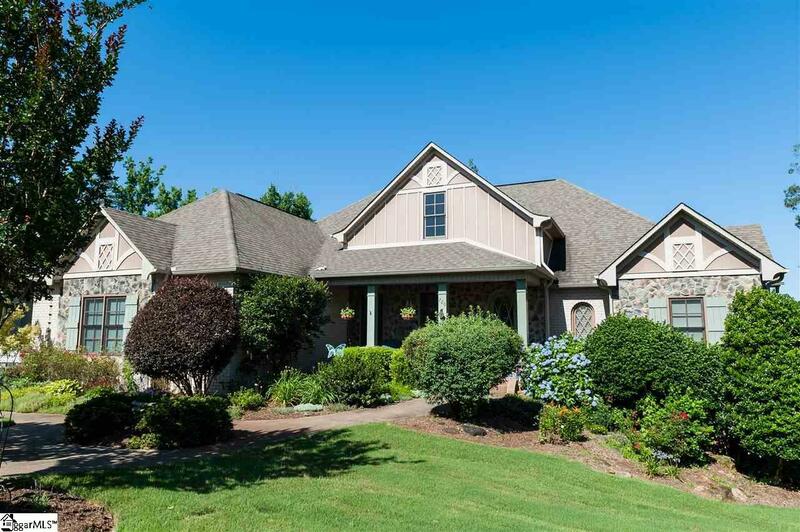 Beautiful custom built home located less than 4 miles outside Inman. The Reserve at Carriage Gate is a friendly neighborhood. This home has been beautifully maintained. The American Cherry Hardwood floors are sure to please. Ceramic flooring in all baths and laundry. Tray & Beam ceiling in Foyer, Living Room, and MBR. Vaulted ceilings in Master bath and keeping room. Built in bookshelves in dining and living rooms. Screened porch has custom shades. The porch and patio are wired with surround sound. Basement is wired with surround sound theater which stays with the home. Basement bathroom has a large walk in shower. Professionally decorated inside. Professionally designed landscaping. Storage is abundant inside. The crawl space has room for lawn and gardening equipment and storage. Under ground irrigation and drip system in the front flower bed. The home features built-in bookshelves, intricate wood trim, the custom painted ceiling, nooks, and lighting to highlight the many features. $2,000 closing credit being offered with perferred lender.